I was wondering if 2010 could have gone any better. Well it's 2011 and we're still getting recognized for 2010; pretty cool. We're honored to be nominated by Deli Magazine as best emerging artist in New England. The nomination process is done by a panel of industry people and the winner is decided by popular vote. Thanks for a great 2010. We're really excited for 2011! 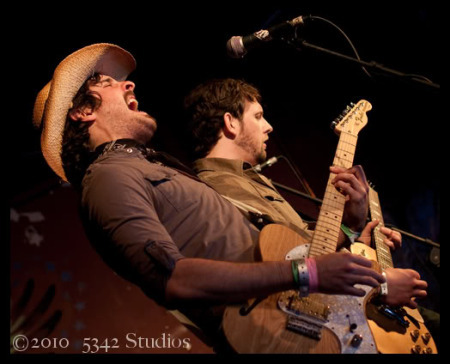 We're pleased to announce that TimeOut Boston selected theWANDAS as Best Live Act of 2010. Here is what they had to say below. The Wandas spent the better part of 2010 touring the bejesus out of their third album, New Wave Blues. In the process, they caused a few bloggers’ jaws to hit the floor at South by Southwest and squashed the competition at WBRU’s Rock Hunt battle of the bands. The retro rock charms found on New Wave Blues should mollify anyone put off by the fact that none of these four dudes are actually named Wanda. The catchy and heartfelt “Thank You Note” exemplifies what a hit single should be, “Lose You” gushes lovelorn anguish, and “Please Come Home” proves that sounding like Neil Diamond isn’t necessarily something to be ashamed of. Still, it’s the Wandas stage show–which manages to be at once tight and bombastic–that has them topping our lists.- Barry Thompson - TimeOut Magazine. You can read more about their picks at TimeOut Boston. 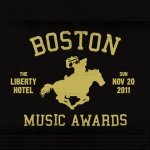 We're honored to announce that theWANDAS have been nominated by the Boston Music Awards for best Pop Act of 2010. There are plenty of other great bands nominated for the BMAs. Some of our friends such as the Bodega Girls, Mean Creek, Stereo Telescope, Freezepop were also nominated to name a few. Congrats to everyone who was nominated. It's great to be part of an exciting and supportive music scene in our home town of Boston, MA. Looking forward to 2011. 1 year after the release of New Wave Blues, the album is still gaining momentum and being reviewed by all different types of publications. The latest is from Lore Music Group. I would say this is one of the most thorough and all encompassing reviews of the album. They seemed to really understand what we were trying to do with the album; which is actually more gratifying than simply receiving a positive review. In this case we went two for two; which is the ultimate reward. Here's are 2 excerpts from the review. You can read it in it's entirety at the Lore Music Group web site. With their infectious melodies and catchy choruses, it is hard not to enjoy listening to [theWANDAS]. On their album, the appropriately titled New Wave Blues, The Wandas manage to create their own sound that successfully steers clear of becoming just another pop pick in what seems like an ever-growing landscape of cloned music. This is not a band resting on its laurels and that is satisfied with getting by with simple pop. The Wandas take the risk of falling under their own weight on “Lose You” with its dramatic outro that pushes their sound to its max that if done incorrectly could have sounded like they were trying too hard, but it manages to work thanks to their laid back demeanor. This is what separates The Wandas from other pop/rock groups today and is an encouraging sign for future development.They are not in your face and pushing themselves on you as many of today’s other acts do. Instead, they have a subtle yet strong reach that lasts. As always you can download New Wave Blues and all of our other music using the "Pay What You Want" method from smirp.com, and from iTunes as well. Heading into our U.S. Tour it's nice to get some press around the country. Mary Leary from San Diego Entertainer Magazine gave New Wave Blues a thorough listening and rave review. Here's and excerpt below. You can read the entire review here (it's the 3rd review down the page). ...the sudden energy of “Trepidation,” which is absolutely brilliant. 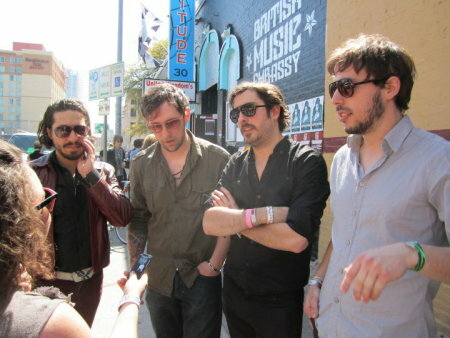 It makes me want to go see these Cambridge-based young men live. It gets me excited about living even though I’m frustrated ‘cause I don’t have anything like the budget to run to Boston for a Wandas show, to see what kind of scene generated, and is supporting, this phenomenon. theWANDAS will be performing live at The Ruby Room in San Diego, CA on November 5th.